7 cm diameter, 3 cm hand pendant, 1.5 cm shanti pendant, 24 g.
The ever protecting Hamsa (or hand of Fatima) hand with with a shining zirconia stone to make a very cute little hamsa charm. Hamsa is an important symbol in many religions and represents a protecting hand of god. It has a clasp so you can add it to most of our necklaces, bracelets or anklets to make your own hand of fatima jewelry. 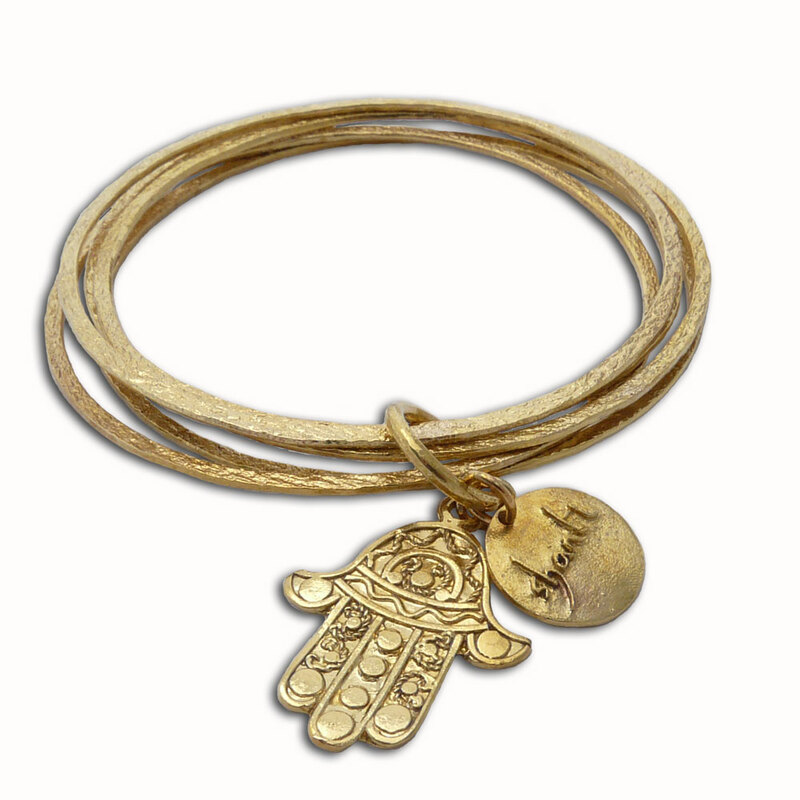 Hamsa, or hand of fatima pendant hangs from a rubber necklace. The clasp says "shanti" meaning peace . It is crafted out of recycled brass. This is an ideal necklace for men or women. Sturdy, beautiful, eco and fair trade!